When first switching to a keto-based diet, the idea of being able to have bacon and eggs for breakfast every morning is quite exciting. There is a lot more to keto and low carb breakfasts than bacon and eggs though, as you’ll soon see. In fact, there are so many options, you’ll never have the chance to get bored. You want waffles? You’ve got them. You want pancakes? You’ve got them. You want porridge? You’ve got that, too. Starting your day off with a healthy, nutritious breakfast fuels you up, and gets you ready for your day. If you get the first meal of the day right, it is easier to keep on track and eat healthy for the rest of the day. Luckily for you, there is a wide range of delicious – but healthy – keto breakfasts you can make, no matter what your preferences. These morning options range from sweet to savory, and most of them are also very versatile in terms of toppings and fillings. The hardest part will be choosing what to make next! I used to enjoy making waffles because it was just so simple to put together – mix in the flour, sugar, and egg, and you’re pretty much done. Finding a Keto Waffle recipe that was just as simple proved challenging, but this may just fit the bill. No fancy ingredients or complicated steps. This could be quick enough to make during the week even! 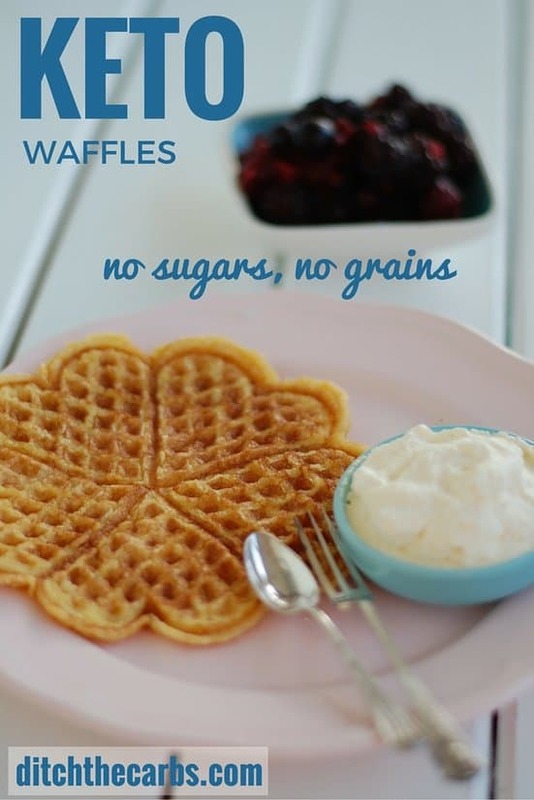 You can top the waffles with nut butters or thick cream, or take two waffles and turn it into a breakfast sandwich. 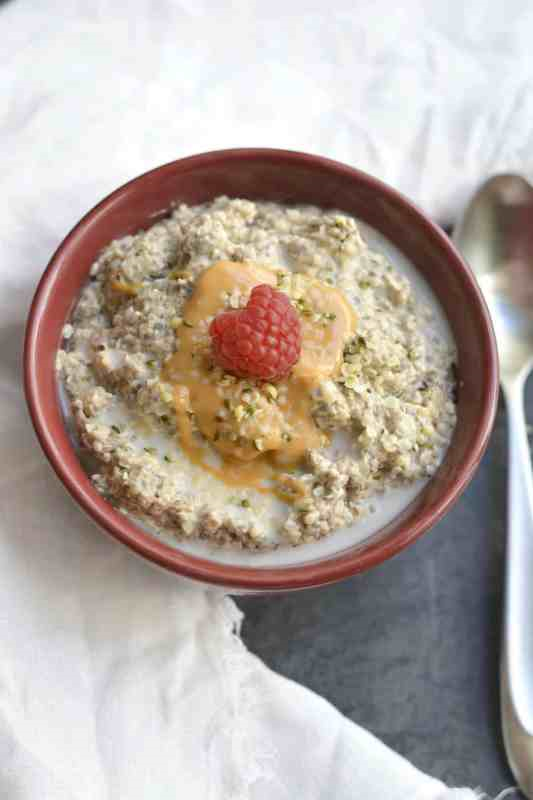 If you’re a fan of a nice warm breakfast bowl then you’re in for a treat. Porridge isn’t oatmeal but it is something that’s going to give you that warmth you might be looking for in a bowl early in the morning. The combination of blueberries and coconuts are going to be perfect for you. You’ll also be getting a bit of a crunch with the pumpkin seeds that you add to it. This breakfast recipe has everything that you could want out of a meal when you’re first starting your day. 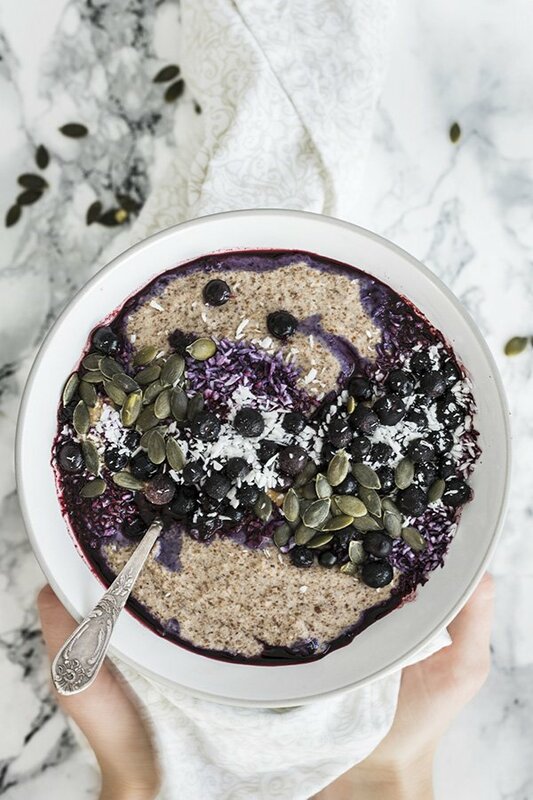 Hemp hearts is the oat substitute in these Keto Overnight ‘Oats’. They have a lovely texture and flavor, and are also a nutritional powerhouse. This recipe can be made sweet (with pumpkin seeds, nut butter, coconut oil) or savory (with avocado, bacon bits, nutritional yeast). Sometimes you just want to eat pancakes on a Tuesday morning, but not have to make them. 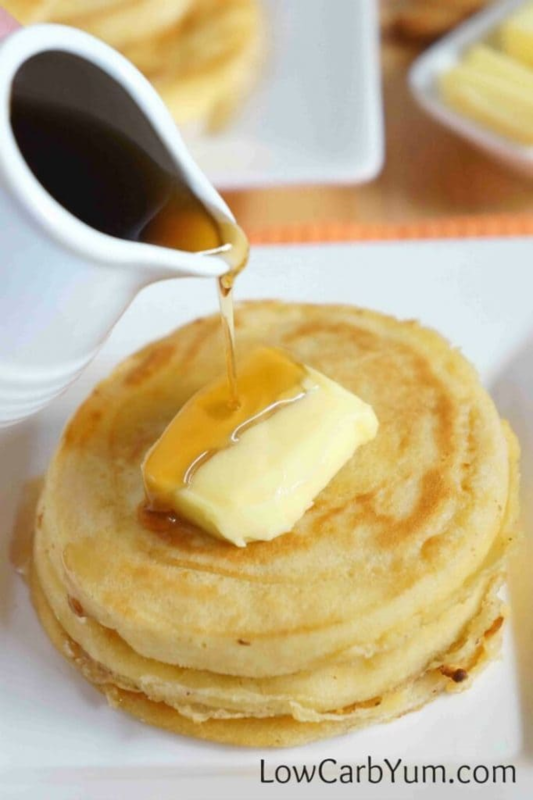 This Low Carb Coconut Flour Pancake recipe can be made in advance, when you have more time, and then frozen for a later date. When you’re ready for your pancake fix, simply take them out of the freezer and place straighth in the microwave – no thawing necessary. If you want to prepare a romantic breakfast that will be sure to impress, then you need Coconut Flour Crepes. They are super simple to make, but look very impressive once plated up. 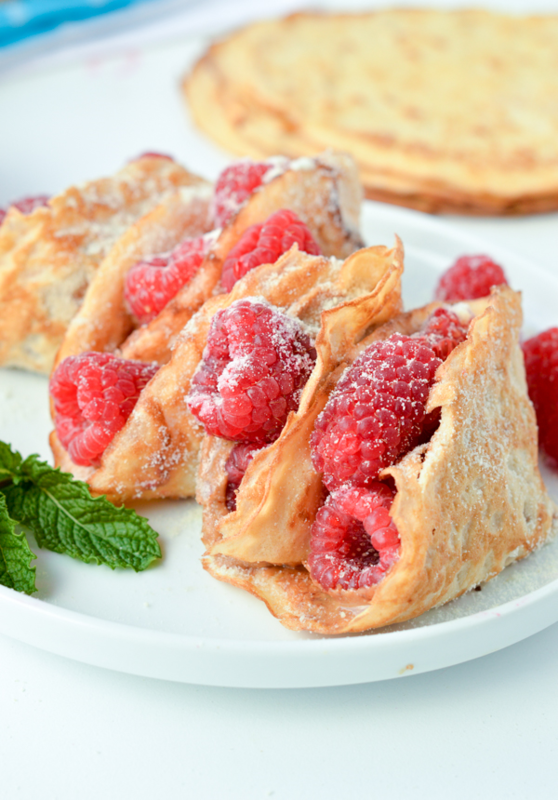 Plus – even the name sounds fancy – ‘crepes’ (French for pancake). There are many low carb filling options to chose from – nut butter, yoghurt, sugar-free chocolate chips, and thick cream with cinnamon are just a few. I have eaten more McMuffins than I care to admit. They were definitely a guilty pleasure. 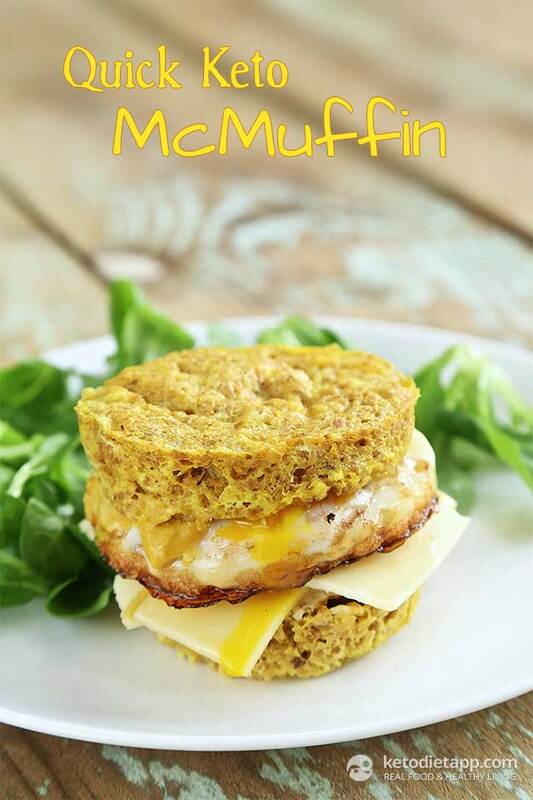 So I am excited to try out this Quick Keto McMuffins recipe. The muffins are made in the microwave, making this a quick and simple week-day breakfast option. Cauliflower for breakfast? I know what you’re thinking…. but just bear with me. Cauliflower is one of those amazingly versatile ingredients, and is a great replacement for potato because it doesn’t have a very strong flavor. In fact, once you add the onions and chives in the Onion & Chive Cauliflower Hashbrowns, you might even forget you’re eating cauliflower! Avocado toast. If there is a food to define a generation, avocado toast would be for the millenials. It is a cliche, but for good reason. It is amazing. The only problem is that bread is high in carb. 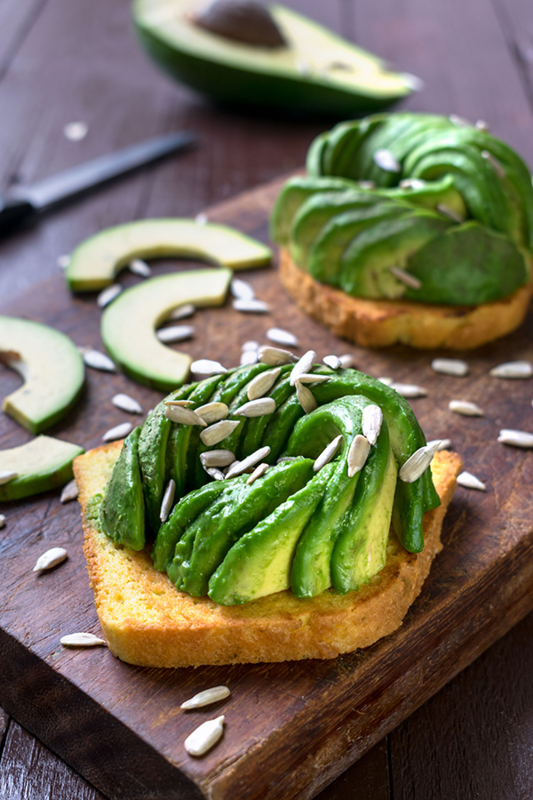 This Low Carb & Keto Avocado Toast recipe fixes that problem by using a low carb bread recipe. And if you’re nervous about making your own bread – don’t be. This is quite a simple recipe! 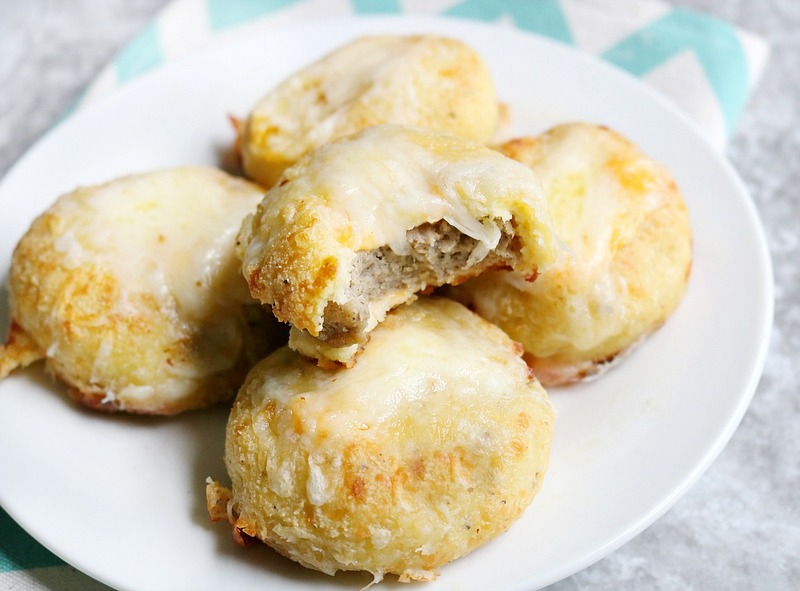 These Keto Breakfast Biscuits Stuffed with Sausage and Cheese are a great option if you want to prepare your breakfast in advance, so you can just grab and go in the morning. The ‘biscuit’ part uses a version of fathead dough (made with cream cheese, mozzarella, eggs, and almond flour), so it is gluten- and egg-free. The filling is sausage and cheese, but you easily mix it up by changing the fillings. Bacon and sharp cheese would probably work quite well! You will fiind the dough quite sticky – this is very normal. If the dough balls are sticking your hands, dust them in a little almond flour. I had never heard of hot pockets before I came across this recipe, but now I want to eat hot pockets every day! 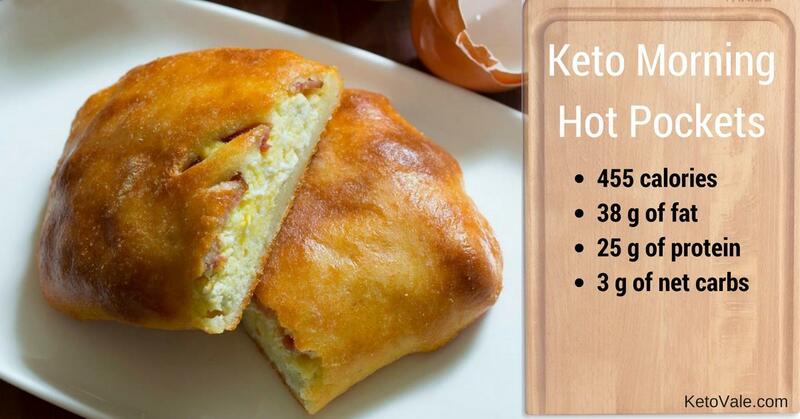 These Keto Morning Hot Pockets only require 5 ingredients for the basic recipe, but you can add all sorts of different fillings. This is a great ‘eat on the run’ breakfast option because everything sits in a nice, neat package and you can eat it with your hands. You’ve heard about how breakfast is the most important meal of the day and that’s even more important on keto because you want to get the day started off right. These keto breakfast recipes are perfect for getting your keto day started off right. 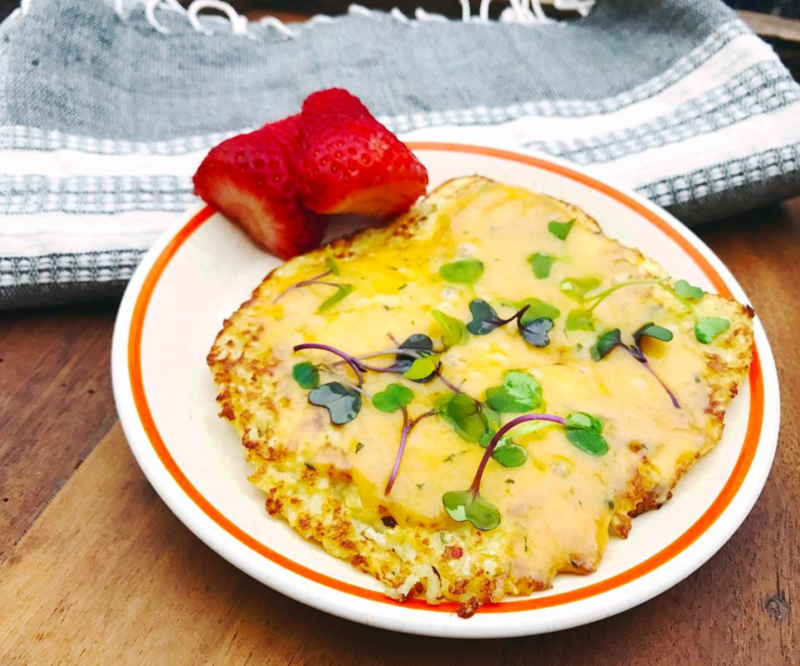 Enjoyed 10 Keto Breakfast Recipes that Aren’t Bacon And Eggs? Share it with your friends so they to can follow the Miss Fit Living journey!